Industrial hemp cultivation in the USA really took off last year – and it will maintain an upward trajectory. Vote Hemp’s 2018 U.S. Hemp Crop Report states the number of acres grown across 23 U.S. states totaled 78,176 in 2018, compared to 25,713 in 2017. 3,544 farmers and researchers received state licenses last year, more than double the number of the previous year. Leading the states for acres under cultivation was Montana (22,000 acres) and Colorado (21,578 acres). There was a big gap between the two leading states and next in line, Oregon, which had 7,808 acres under cultivation. Where cultivating hemp is legal, the state with the lowest amount under cultivation was Nebraska – just half an acre. 12 states in total had less than a thousand acres under cultivation each. Still, from little things big things can grow. U.S. states still banning the crop are now very much in the minority. Forty-one states now define industrial hemp as distinct from marijuana and have removed some or many barriers to its production. Five states enacted hemp bills in 2018 – Wisconsin, Illinois, Oklahoma, Massachusetts and South Carolina. At this point, the holdout states are Idaho, South Dakota, Iowa, Texas, Louisiana, Mississippi, Georgia, Ohio and New Hampshire – but moves are afoot to allow the crop in most of those states. Vote Hemp sees a bright future for the crop, particularly after the signing of the 2018 Farm Bill that removed many restraints on industrial hemp and also enables farmers to obtain insurance for their crops. “Now that we have lifted federal prohibition on hemp farming, it’s time to invest our energy in expanding hemp cultivation and the market for hemp products across the country so that all can reap the benefits of this versatile, historic American crop,” said Eric Steenstra, the organisation’s President. 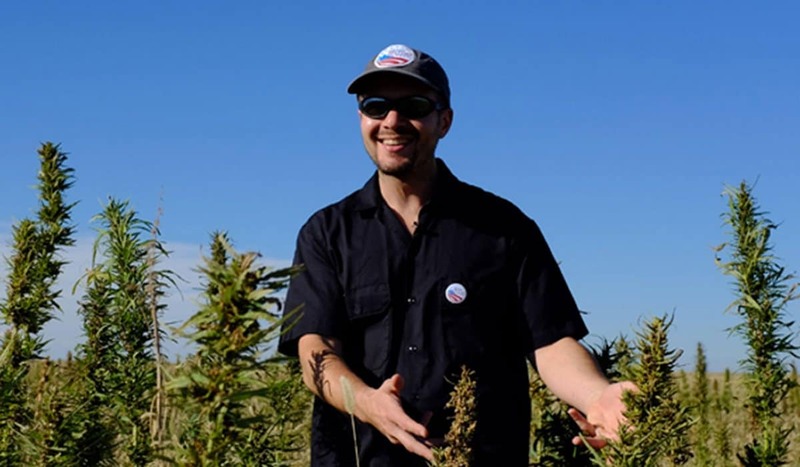 Vote Hemp had previously stated that the 2018 Farm Bill was a momentous victory for the sector that would have far-reaching positive impacts on rural economies. The organisation has battled long and hard to see the crop attain the recognition it deserves – it was established back in 2000. An infographic associated with the 2018 U.S. Hemp Crop Report can be viewed here.